computer woven label for garment product pictures product main label, size label, country original label, content label, care/wash label and so on. fold type end fold, center fold, straight cut, miter fold, loop fold, as your request. 2) Woven label is made of high definition yarn,density reach to 120. 3)120 density. Woven by 50 Denier weft yarn,smooth and shiny surface 4) Color fastness reach to 5 grade. 5). 2. Competitive price: direct factory, manufactured and shipped by ourself. 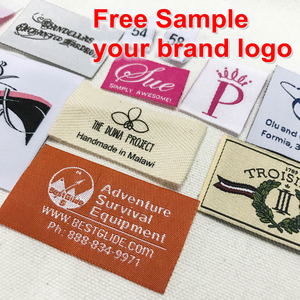 Woven by 50 Denier weft yarn,smooth and shiny surface Related Products Product Usage Woven label folded KSTHL Labels Co. Ltd We have got new machin es in 2018. This year we are going beyond the transfermation of the industry,and across the infinite cost. From production management to production development, we have increased the added value of our products to help customers get away from the price war. no extra charge for this type of fold. prompt delivery time,and great after-sales service . we specialize in producing high quality paper products ,garment tags , all kind of garment labels , fashion bags and gift box , packaging box . our labels can be produced in any quantity, using a time-tested weaving process that results in a high quality label that can withstand numerous washings. 6 YRS Shenzhen Sunpinsgar Gift Co., Ltd.
you will be requested to do prepaid full payment or deposit before we go into production. we check the goods when they go into next step production procedure. 3. We use high quality material and thread. 4. All of our machines are newest and technology. 6. We are 15 years experienced manufacturer. 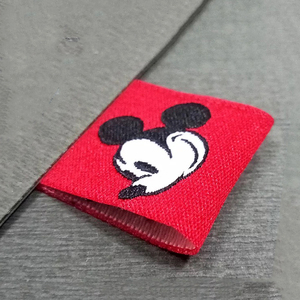 High Quality Customized Satin Damask Woven Clothing Label Product Type: Woven Label Material: Cotton, Polyester ,Fabric, Leather, PU leather,etc. 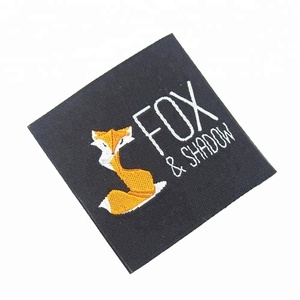 high density,smooth and shiny surface C. high density,smooth and shiny surface Artwork file format: C.
Alibaba.com offers 6,113 damask clothing label products. About 88% of these are garment labels, 1% are garment tags, and 1% are access control card. A wide variety of damask clothing label options are available to you, such as bags, garment, and shoes. You can also choose from eco-friendly, washable. As well as from cloth, metal, and rubber. 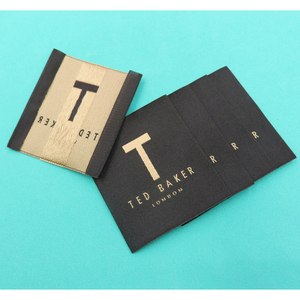 And whether damask clothing label is garment labels, or garment tags. There are 6,113 damask clothing label suppliers, mainly located in Asia. The top supplying country is China (Mainland), which supply 100% of damask clothing label respectively. Damask clothing label products are most popular in North America, Western Europe, and Domestic Market. You can ensure product safety by selecting from certified suppliers, including 1,218 with ISO9001, 1,077 with Other, and 422 with ISO14001 certification.